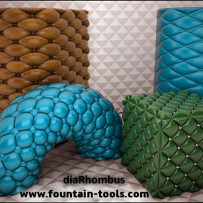 diaRhombus - utility for creating elements of upholstered furniture. Download diaRhombus (save to any folder). Check Corner – enable CORNER alg. Check Chamfer – enable CHAMFER alg.